Riders who would otherwise use the path aren’t going to be completely without options. Those traveling north will exit the trail on the left onto Harrington Road and then swing out onto Bedford Street. They can remain on that path, past Lois Lane, Carol Lane and Larchmont Lane, to hook a left back onto the trail just past Sunny-Knoll Avenue. This initiative should make the bike trail a safer place for riders. As our Boston bicycle accident attorneys know, the Minuteman Bikeway has become an essential element of the cycling culture in greater Boston. It’s a 10-miles stretch that begins in Bedford and then runs through Lexington, Arlington and then Cambridge. It’s plowed during the winter months, making it easy to navigate – and often safer than traveling alongside motor vehicle traffic. It’s also 12-feet wide and accommodates not just cyclists, but also joggers, walkers, in-line skaters, cross-country skiers and those in powered wheelchairs. 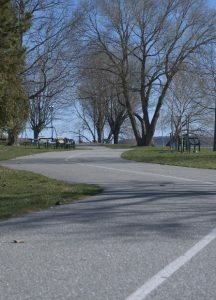 However, the trail is mostly used for casual biking. Built by the state on an inactive right-of-way in 1993 as part of the “rails to trails” initiatives, the bikeway was not long ago inducted into the Rail-Trail Hall of Fame. Not only is it safer for pedestrians and cyclists to travel, it makes the roadways nearby safer as well because it serves to cut down on traffic. Riders and pedestrians can more easily get to and from bus and subway lines as well. It passes through suburban town centers, well-manicured back yards and picturesque meadows. Although there are 28 bike trails that snake throughout Massachusetts, the Minuteman Bikeway is the most popular because it is one of the very few in the Boston area. It also follows partially on the famous route ridden by Paul Revere in 1775 to alert of an impending British invasion. The Lexington local government has promised to “do our best to minimize inconvenience” for riders. Still, delays are to be expected. Although the signs indicate “Detour Bikes,” the trail is in fact closed for all users. Some have proposed an alternative detour (for those who don’t want to bother at the Harrington Road intersection, which can be tricky for bicyclists going east when motor vehicle traffic is heavy). One alternate route would be for east bound bikes to take the bicycle lane from Bedford Street to Revere Street and then go left to Hancock Street, take a right and approach the Bikeway intersection from the other streets. This map shows these streets, but doesn’t yet have it outlined as an official detour path. In addition to this paving project, a number of other updates may be on the horizon. There has been talk of including a new connection in Lexington to the Battle Road Trail and another on the Charles River Bike Path via the Fresh Pond Reservation. These efforts, although temporarily inconvenient, serve to help improve the conditions of the Minuteman Bikeway – and ultimately the safety of its daily users.